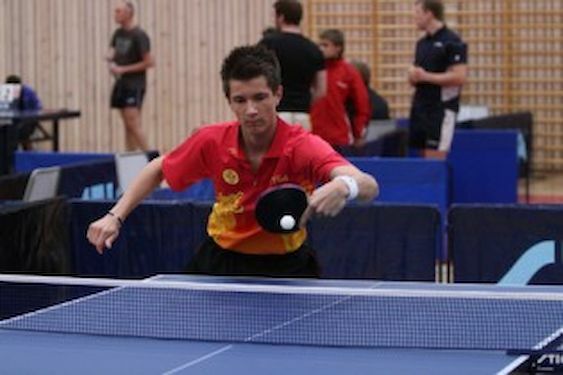 It was good day for the host nation at the Euro-Africa Circuit Swedish Open in Helsingborg. In the qualification stages of the Team’s Event Sweden A, B and C team recorded victories in both rounds played today. Sweden A with Hampus NORDBERG, Mattias OVERSJO and Harald ANDERSSON beat Norway A after a solid performance in straight matches. Sweden B also recorded 3:0 victory in duel against Netherlands. India justified their leading position by overcoming Germany. They succeed in the close games and showed that experience counts. However, Germany won close matches to get the 3-0 victory against Sweden D. Norway showed great performance in the match against Belarus. They succeeded in four matches. BERNER, RONNEBERG and LINDHOLM from Norway’s team secured the victory with one win each. “It is so nice to be back to win matches at this level” said Lars RONNEBERG who had gone through two hip operations and have worked himself through a long rehabilitation. “It was a solid performance where all players contribute with wins” coach of Norway, Torsten HAEVDHOLM was delighted. In Women’s teams event Sweden A beat Finland 3:0. Jennifer JONSSON had the toughest match against Anna-Sofia ERKHEIKKI. Jennifer managed to close the final set with 11:9. Favorised India A lost a hard battle against a strong Belorusian team. DUBKOVA won two matches and in the final match BARAVOK (WR 348) surprisingly managed to beat Mouma DAS (WR 186) 3:2, 11:7 in the fifth. Sweden came back from 0;2 to secure the victory over India B in duel that was starched to full distance and secured the first place in the group. All Swedish players: ENGELSON, BERGSTRÖM and JONSSON, contributed to the victory.